Since the beginning of civilization, humans have suffered the ill effects brought about by rodents in and around their homes and buildings. 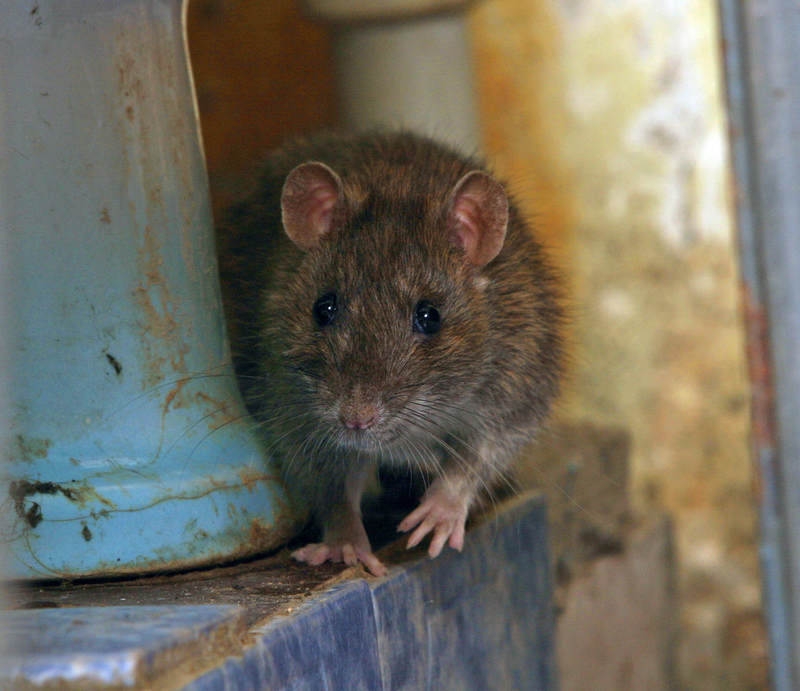 At Entex Pest Solutions, our professionals study the biology of these commensal rodents to learn the most effective and least invasive methods to rid your home or business of these unsanitary intruders. Our tailored methods are proven to be faster, less invasive, more sanitary, and more effective in the long-term than those of other rodent control companies. Centrally located in both Dallas & Ft. Worth, Entex Pest can meet all of your rodent removal needs! Who are the "main offenders"? House Mouse: Mus musculus This rodent is very small in size and does not require daily water. It usually builds an actual nest and travels short distances to its food sources. It can contaminate surfaces and food in the area, as male mice urinate extremely frequently in small drops to mark their territory. A dominant male mouse can urinate 3,000 distinct times in one day and squeeze through a hole the size of a dime. White Footed Deer Mouse: Peromyscus leucopus The deer mouse is very small in size with white feet and a white underside. It is generally found toward the Northern and Western portions of North Texas. They typically infest garages and outbuildings, but they can be found in houses on occasion. This mouse can transmit Hantavirus through its dried urine, so infestations should be addressed quickly, and clean-up of an infested area should be performed with proper respirators or high-quality dust masks. Roof Rat: Rattus rattus The roof rat is a slender rodent with a tail longer than its body and a set of large feet and large ears. Also known as the black rat and colloquially as a tree rat, this rat readily climbs and is at home on cables, in trees, and in attics. This is the main offender of attic, garage and outbuilding infestations in North Texas. Juveniles are often mistaken for mice and colonies can number from three individuals to more than 25 in a single house. Roof Rats often enter a home through gnawed holes, poor fitting trim boards, utility pipe entries, or torn vent screens. Roof rats can squeeze through a hole the size of a quarter and commonly enter the living space looking for food or water, since they must drink daily. Norway Rat: Rattus norvegicus A larger and more robust rat, Norway rats are a burrowing species that often inhabit the lower stories of buildings. Their tail is shorter than their body, and they have a blunt muzzle and smaller ears and feet than the roof rat. Their burrows are found near food sources like trash dumps, roadway medians, landscaping behind dumpsters and other places. This rat is often found burrowing under sidewalks and parking lots and foraging into adjacent buildings for food and water. What is the Entex approach to rodent management? Most pest companies approach rodent management ineffectively, failing to address the reasons the problem originally developed. Most simply place some glueboards, throw bait into the attic, set messy traps, and walk away. 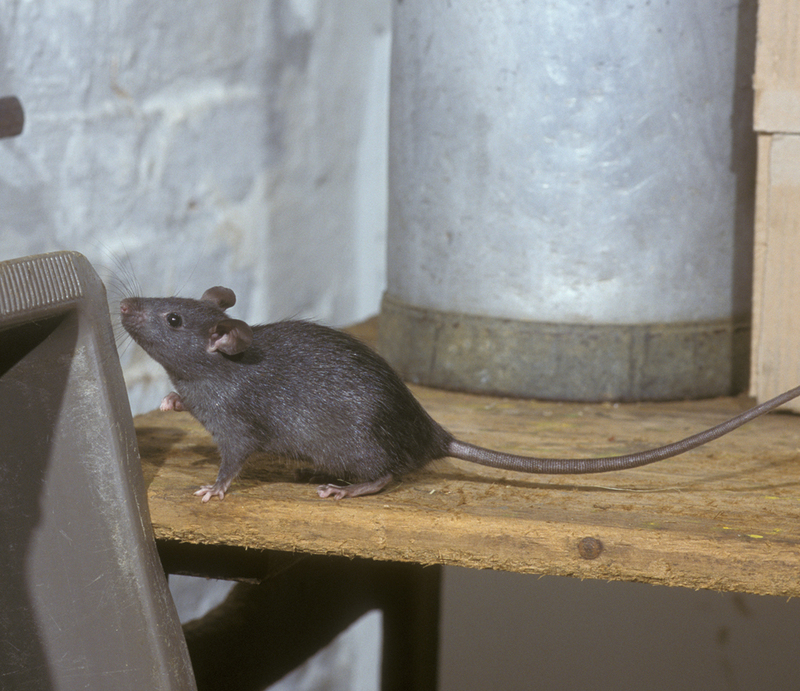 At Entex Pest, we offer the correct approach to long term rodent management. Initial inspection – We’ll first provide a professional inspection to identify the primary and potential entry points, approximate size of the infestation, contributing factors, and exclusion methods. These are always performed by highly trained professionals to identify the species of rodent, point of entry into the structure, if the living space is being visited, and needed repair or modification to the structure to prevent repeat incidents. Then, a tailored protection program is presented, the scope of work is decided, and work commences. Rodent Removal – Entex has a unique treatment technique that focuses on the existing population in the structure and eliminating them or forcing them out of the building. This is accomplished through a variety of means, including a natural repellent gel placed at entry points. Entex professionals will never place bait around the building and in the attic and walk away, leaving rodents to die in your ceilings and walls. This gel irritates the rodents as they move across it and forces them to relocate from your building. After a period of monitoring, entry holes are sealed with durable materials to prevent gnawing and reentry into these entry points. Rodent Exclusion – Entex exclusion techniques use durable materials to seal rodents out of your structure. We address not only verified entry points, but potential entry points and weak areas as well. The Entex protection program deals with current issues and corrects potential issues as well. No family wants to experience rats in their home more than once! Rodent Management – Since an infestation most likely indicates neighborhood or area rodent pressure, Entex suggests modification to your property or building to make attraction for rodents less likely. This may include trimming trees, moving or elevating storage areas, clearing underbrush and other common sense solutions. Entex also offers rodent baiting services, after the exclusion is complete, to eliminate or reduce the population around your home. What makes Entex Pest different? Education and training – Our professionals are trained and experienced both in rodent biology and in non-invasive treatments. Custom-fit treatments – Entex designs and tailors a treatment program just for your property. There are no cookie-cutter solutions here. Thorough inspections – We offer professional inspections to identify primary and potential entry points, approximate size of infestation, contributing factors and exclusion methods. Effective solutions – We don’t use glueboards, random baiting, or ineffective treatments. Only proven, scientifically based treatments that we know will work. Honest professionals – We won’t use scare tactics, or cite a list of potential diseases for your infestation. We’ll give you the facts straight, and help you solve the problem as quickly as possible. No property damage – We won’t vacuum out your attic insulation or tear out other materials to like other companies try to sell you on. We’ll ensure your property is kept intact throughout the treatment program. My house had rats in the attic and Entex Pest Solutions got rid of the problem without using bait and causing an odor problem in the house. They inspected very thoroughly, created a plan, got the rats out of the attic, and sealed the entry holes. The whole process was very methodical and reasonably priced.